38 John said to Him, “Teacher, we saw someone casting out demons in Your name, and we tried to prevent him because he was not following us.” 39 But Jesus said, “Do not hinder him, for there is no one who will perform a miracle in My name, and be able soon afterward to speak evil of Me. 40 For he who is not against us is for us. 41 For whoever gives you a cup of water to drink because of your name as followers of Christ, truly I say to you, he will not lose his reward. What was Jesus warning His disciples against? Was it sectarianism? Not exactly. Why were Jesus’ disciples trying to stop this fellow? He was working in Jesus’ name, but he was not part of the group. What Jesus made clear to His disciples was that following Him was what mattered, not the group. When I first realized that the Bible actually is the Word of God, I was guilty of what Jesus’ disciples had done. Because my parents raised me as a Catholic, I angrily blamed Catholic Church for not making a greater effort to encourage Bible study. I blamed the Catholic Church for all those years I had not known my Savior. Later, after I had calmed down, I admitted I really had no one to blame except myself. I could point the finger of blame at multiple actors, but the choice not to study the Bible more carefully had been mine, just as it was when I finally took that step. 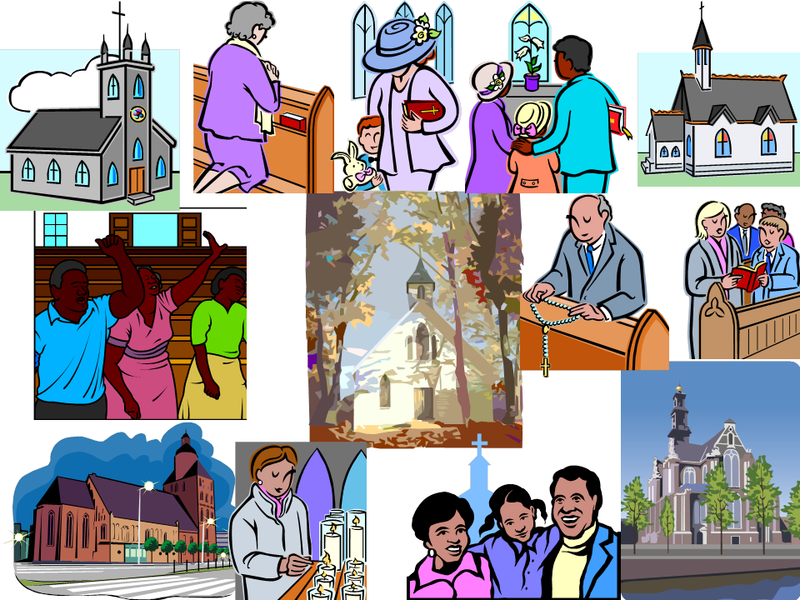 What is the function of a church? The church markets the Gospel. The church exists to baptize new converts and teach its membership about the Gospel so that we can live it and tell others about Jesus. The church exists to fulfill the great commission. Do all Christians have to be members of the same Christian organization? If we are Christians and we recognize the authority of Jesus, then we belong to His church. We may be members of a different human-run organizations, but we all belong to Him. Would it be better if all Christians belonged to the same human-run organization? History suggests not. Consider what happened during the Protestant Reformation. Because the Roman Catholic Church had succeeded in gathering political power to itself, the Catholic Church had become monopolistic. It would not tolerate competition. Instead, the Catholic Church persecuted those who preached in Jesus’ name without the church’s authority. That was contrary to what Jesus taught in Mark 9:38-41. What about today? Today each of the different Christian sects, including the Roman Catholic Church, peacefully compete to demonstrate that their church preaches the authentic word of Christ. In addition, each Christian sect competes to find the most effective way to market the Gospel and encourage its membership to live as the Bible teaches. Therefore, so long as we don’t persecute each other, this competition can be quite healthy. As Christians, we need both to give out the Gospel and to receive it. Jesus does not want us to passively attend a church. He tasked each of us to do our best to tell the lost about the Gospel. He told us to fellowship and worship Him with other Christians. Therefore, we each need to look for a church home that helps us to do what He told us to do. No church, however, will be perfect. Therefore, we must each strive to make Jesus’ Church better through fellowship with other Christians. We can do that by working with other Christians in our church home, with the people we have chosen to celebrate our share in Jesus Christ. What about the fact that non-Christians condemn us for our divisions into different organizations, each with differing interpretations of what Jesus taught? How do we respond? We point to our Lord said, of course. Here in this life we do His work as best we can. Because of Him, we live more joyfully than we might otherwise, but we are not perfect. Fortunately, He is not done with us. Im comforted that the Lord doesn’t force unanimity of thought in the Church. It goes against his love of reason. He says, “Love your neighbor” and “Love your enemy”. Ouch! He actually is convinced that He was, is, and forever will be G-d. This is a primary reason that His kingdom will eventually come and prevail. He’s not a group-think mind programmer (like many universities’) who politically correct speech and conduct codes. He doesn’t need to get re-elected or shame his opponents into compliance. Because He actually holds all authority, He can inversely be the most tolerant personality of the Universe. Yet, like any debates, there are rules. 1. Love the Lord. 2. Love yourself. 3. Love your neighbor. 4. Love your enemy made because he, too, is made in the image of G-d.
Now get out there and debate! Hash it out! Disagree fervently, but see the image of the Creator in the eyes of those you argue with!